Another massive release from Hector Plimmer on the Albert's Favourites imprint. Bulb is undoubtedly one of the moodiest, bassiest cuts on Hector's recent album debut, 'Sunshine'. Plimmer's tendency towards evolving found sounds into voodoo beats is in strong evidence here. The sound of a tapped light bulb provides the core of this piece, driven forward by marching kick drums and rim shots interrupted only by occasional synth interjections. For this EP Deft makes his unmistakable presence know on a distorted, noise embracing revision, his '2010 Throwback Remix'. Bass in abundance. And we're treated to two bonus tracks here. The exceptional Ninja Tune artist Sarathy Korwar takes on ethereal album closer Shiver, delivering chattering hi-hats and even more bass, upon layers of stuttering melodica. And to finish, brand new, previously unreleased music from Hector Plimmer. Sleep Easy is a treat for new fans everywhere. 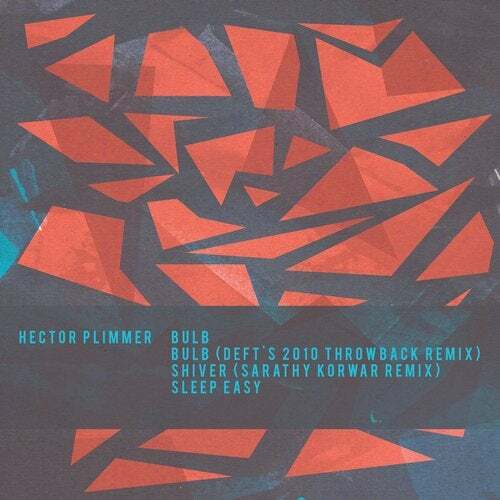 Though hugely problematic for anyone wanting to try and mix it into their sets, it is a perfect slice of house-tempo deepness, full of the ringing snares and tuned percussion Hector is quickly becoming renowned for. Essential for fans of FourTet and Bonobo.